Nico Schulz scored in the last minute to give Germany a dramatic 3-2 win over Holland in Amsterdam. In their opening match of Euro 2020 qualification, Joachim Low's new-look team looked to have blown a 2-0 lead before Hoffenheim's Schulz struck at the end. 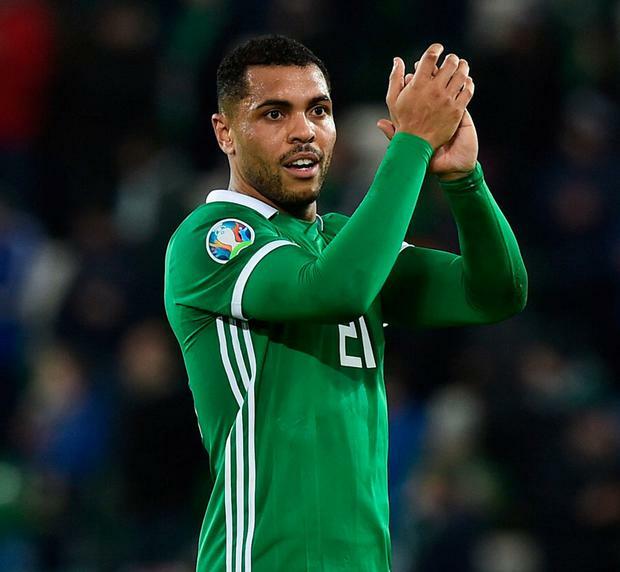 There was more late drama in Group C as Josh Magennis grabbed an 87th-minute winner to give Northern Ireland a 2-1 win over Estonia at Windsor Park after Jonny Evans' opener on the half-hour had been cancelled out three minutes later by Igor Stasevich. Daniel James scored the winner on his first competitive start as Wales opened their qualifying campaign with a 1-0 win over Slovakia in Cardiff. In the other Group E match, World Cup finalists Croatia suffered a shock 2-1 defeat to Hungary. Scotland made slow headway along the road to redemption as they followed up their humiliating 3-0 defeat in Kazakhstan with an uninspiring 2-0 victory against San Marino. Alex McLeish's side failed to immediately build on Kenny McLean's headed fourth-minute opener against the worst-ranked national team in the world, and many of the near 3,000 visiting fans vented their disapproval, even after Johnny Russell doubled the lead in the 74th minute. Kazakhstan were brought back down to earth after their win over Scotland as they were thumped 4-0 by Russia in Astana, Denis Cheryshev grabbing a first-half double. In Group G, late goals from Robert Lewandowski and Kamil Glik saw Poland to a 2-0 win over Latvia, while Eran Zahavi hit a hat-trick in Israel's 4-2 win over Austria.